There are many tours to choose from if you plan to visit Fraser Island. But what ones are the best? 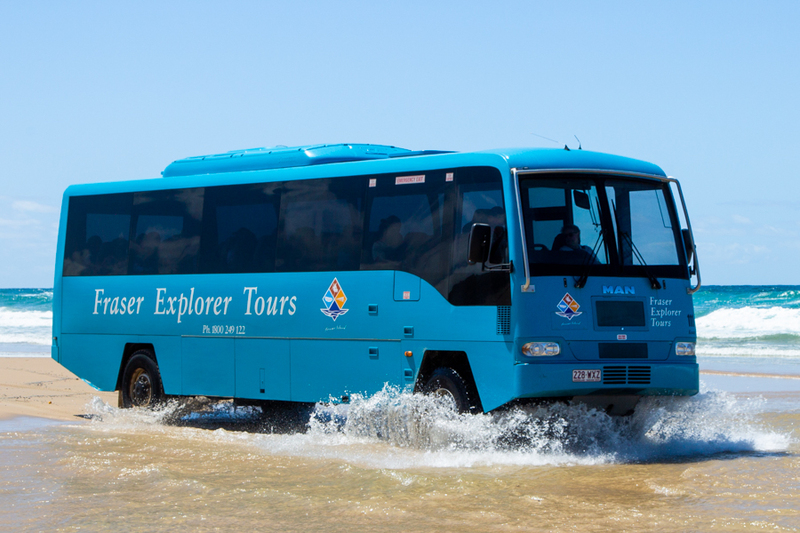 How do you know which tour will be best for you to experience Fraser Island? Where do you start? Your travel expert is here to help you choose the right tour for you and help you answer any questions you may have. We believe in choosing the right tour for each and every person to make sure they can experience Fraser Island in the best way possible. What type of tour you choose will depend on several factors including how much time you want to spend on the island, whether you want to go on a tag-along or guided tour, or if you want to camp or stay in resort accommodation. Group numbers and itineraries also vary per tour, which may also influence your decision. But don't worry, all tours of the island are great and will allow you to see its best parts! So no matter what you choose, you are bound to have an amazing time! In order to get you started on choosing a Fraser excursion that is right for you, we have listed some of our favourite tours to the world's largest sand island! Day tours are great if you have very little time to see the island but still want to explore its natural beauty. Tours generally start bright and early and return late in the evening. Day tours are guided and conducted from 4WD busses, where your guide drives the bus! 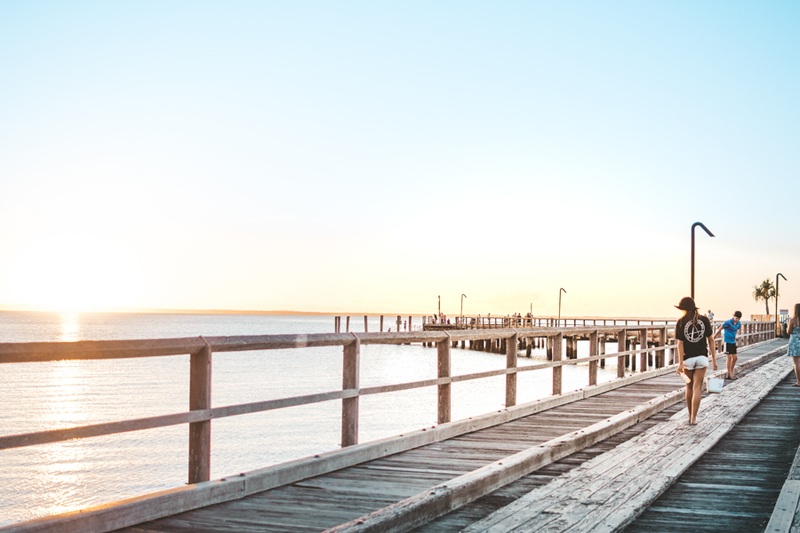 If you plan to stay on the mainland during your visit to the Fraser Coast, this is a great option, since you return back to the mainland in the evening. There are also a variety of overnight tours where you can choose accommodation on the island itself if you prefer to stay on the island. 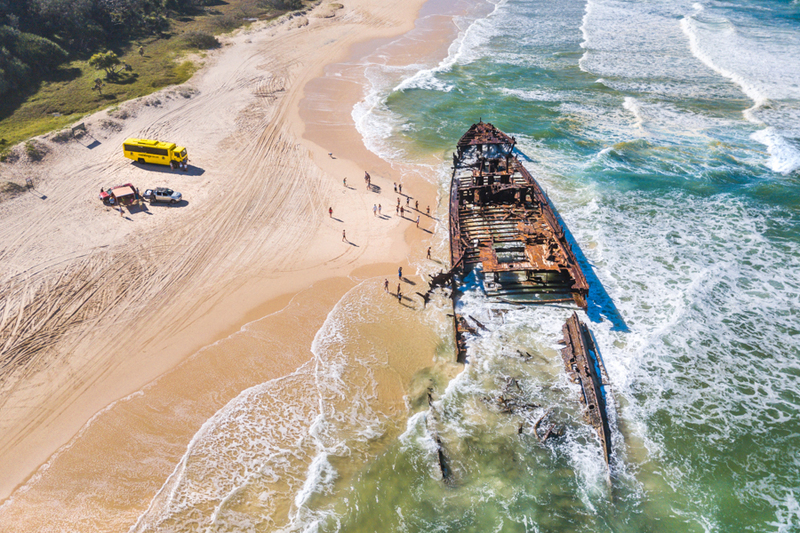 This tour is popular because you get to visit Fraser's top spots including Lake McKenzie, Central Station, the Pinnacles and the S.S. Maheno Shipwreck. You will also get to enjoy a buffet lunch at Eurong Beach Resort. This tour starts between 6:30am and 7:30am and ends between 5-5:30pm. 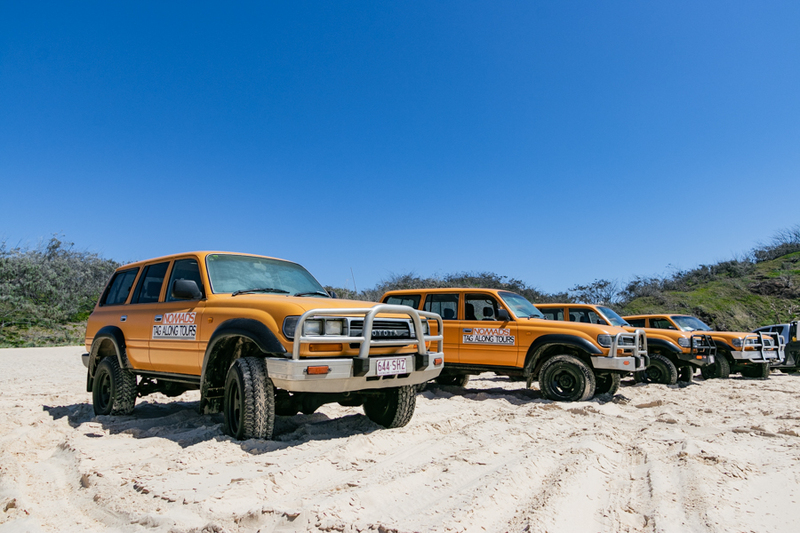 This day tour is great because you get to enjoy Fraser Island from a purpose built 4WD vehicle and hit up all the top spots on the island! This tour starts between 6-8am and ends between 3:00pm and 6:00pm, depending on your location. You can also add the option of a scenic flight with this day tour which is a great addition to any day trip! Overnight tours are the best way to go if you want to see the island at length. They allow for extra time while also giving you a chance to spend a night or two for the ultimate Fraser experience. If time allows, it is recommended to choose and overnight tour. You will get to see more and spend more time at each amazing destination where you will get to explore, relax, play and discover! Everything is included in overnight tours, with the exception of optional add ons that vary per tour. 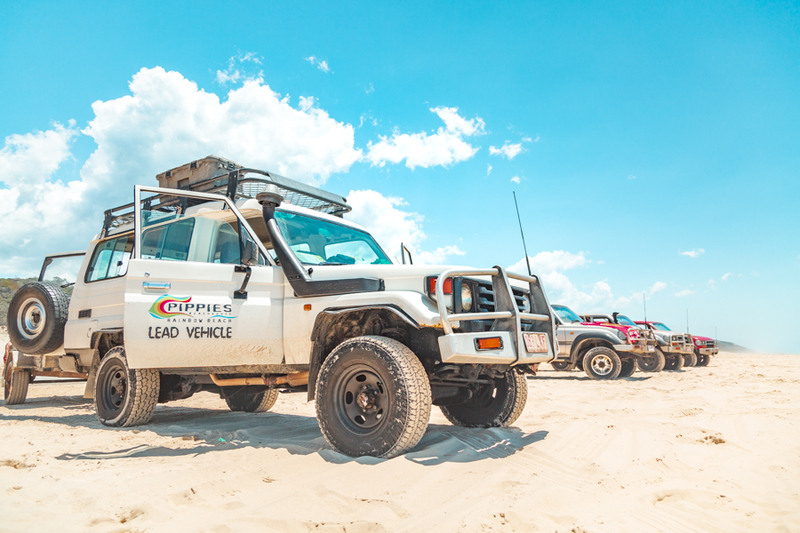 Pippies 3 day camping safari is a great way to experience camping on Fraser Island. 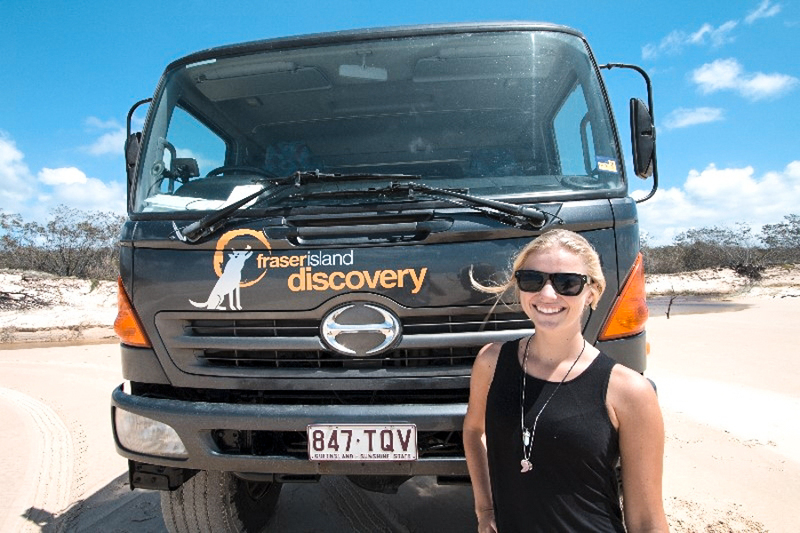 This tour will bring you to all the hot spots on Fraser Island and give you plenty of time to explore and discover all the amazing things that the island has to offer. It also had the added perk is being a tag along tour, meaning you can even take the opportunity to drive while you're there! There is a reason why Drop Bear Adventures is ranked the #1 Fraser Island attraction on Trip Advisor! This popular trip offers comfortable self-drive landcruisers, luxury spacious camping, delicious food, first class guides, for an all-inclusive price! Join them on the ultimate scenic drive through Fraser Island. Your journey begins in Noosa or Rainbow Beach where our passionate tour guide will collect you for an unforgettable camping adventure. 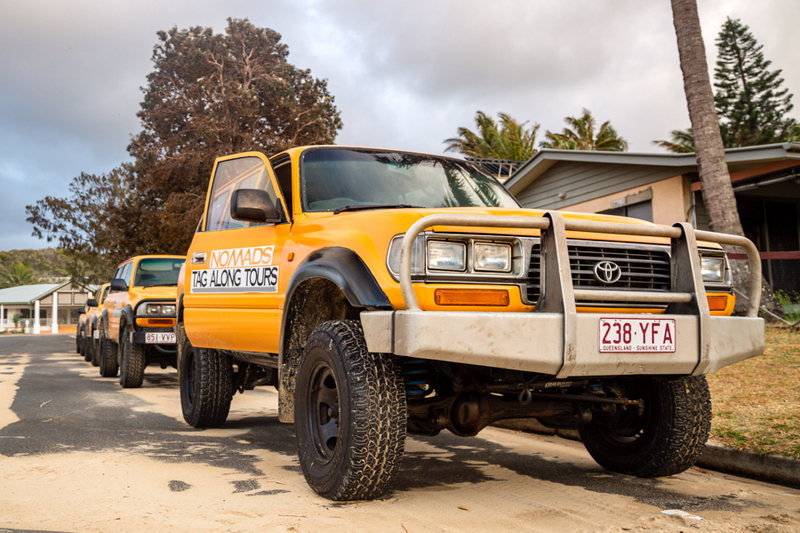 Cool Dingo Guided 3 day tour is ideal for those who want to spend extra time on the island, but don't wish to drive. The guided tour with Cool Dingo will allow you to sit back and relax while someone else drives you around the island to check out all the hot spot! Evenings and nights will be spent at the Wilderness Lodge at Kingfisher Bay. 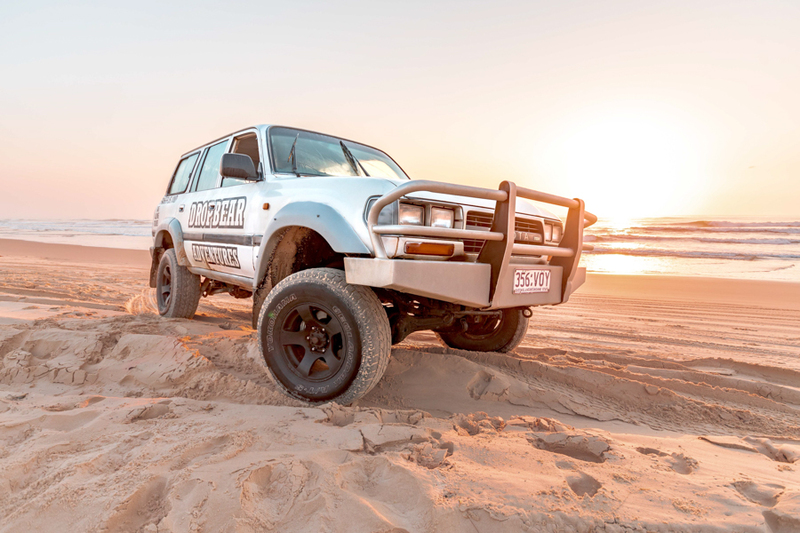 The Nomads 3 day tour gives you the chance explore Fraser Island from behind the wheel of your own 4WD! You will spend your days exploring from one of Nomads' 4WD vehicles that are driven by the guests as they follow their guide around the island. You can choose to drive, or sit back and enjoy a passenger! You will spend your nights at Eurong Beach Resort in dorm accommodation or safari tents. 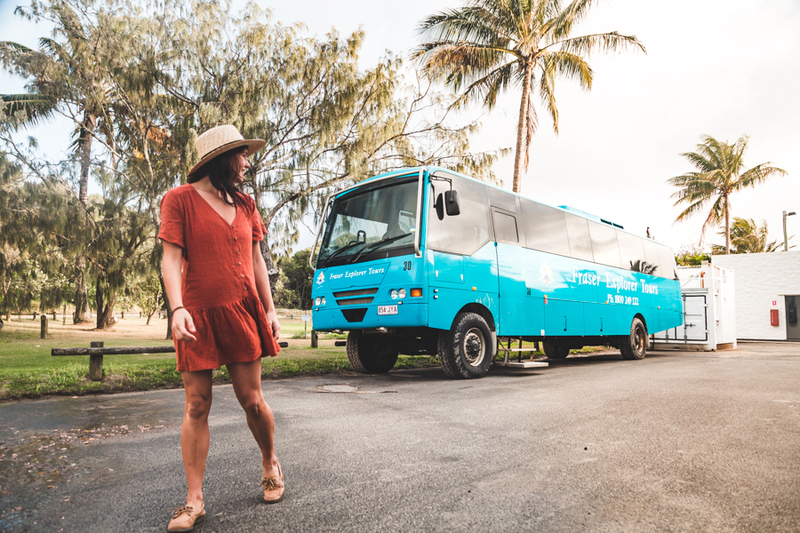 The Nomads 2 day tour is a great alternative to the 3 day tour if you're short on time but still want to check out Fraser Island Nomad style. It is a very similar tour, but you will spend 2 days and 1 night on the island and spend your night at Eurong Beach Resort. The Fraser Explorer Guided 2 day tour is great if you're short on time, and want go to on a guided tour instead of a tag along tour. This way, you can sit back and relax as your guide drives you around the island from a 4WD bus. You will spend your night at Eurong Beach Resort. Ask your travel expert which tour is right for you so you and immerse yourself into the beauty of Fraser Island. We will help you choose the right tour for you so you can see and experience all that this amazing island has to offer!